As many of you know, I have a real passion for autochthonal wines. OK, fine. I don’t get to break that term out in everyday conversation. “Autochthonal wine” is just a fancy way to say “wine made from grapes indigenous to the region.” In a place like Italy, where there are literally hundreds, if not thousands, of indigenous grape varietals dotting the hills and valleys, new taste experiences exist around every corner. Such is the case for a couple of wines I had the chance to try from the Italian region of Umbria. Umbria is in central Italy. If you’re looking at the “boot” of Italy, Umbria is squarely mid-calf, dead center. Umbria is best known for white wines, specifically wines from the subregion of Orvieto, made largely from blends of the Grechetto and Trebbiano grapes. 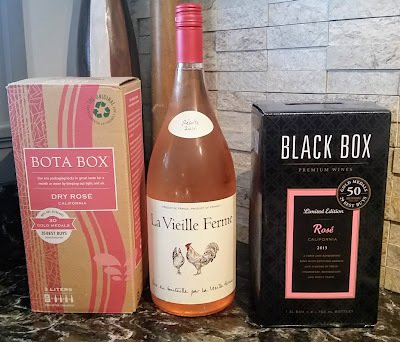 The wines I tried recently, however, are single varietal offerings. 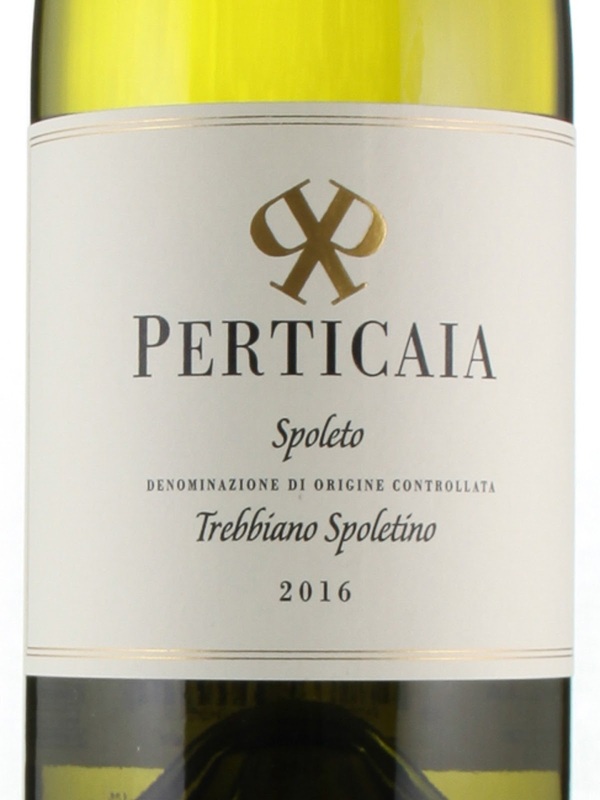 The first, which sounds to a certain extent similar to the wines Umbria’s best known for, is the Perticaia 2015 Trebbiano Spoletino DOC. 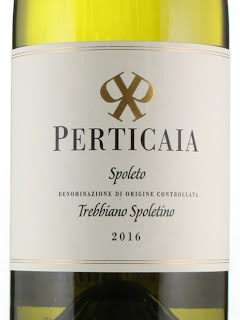 Trebbiano Spoletino is not the same as Orvieto’s traditional Trebbiano, which tends to yield middle-of-the-road whites if not treated with real care. Instead, Trebbiano Spoletino, with its later harvest and high acidity, tends to create wines of more weight and complexity. That was certainly the case here. Not knowing what to expect, having never experienced a wine from this particular grape, I looked to the description. The notes said that it was, at once, full-bodied and a good accompaniment for fish, seafood, and white meat, or on its own as an aperitif. “Aperitif” and “full-bodied” don’t usually go together in my mind. I can say with all honesty that I’ve never had a wine quite like this one before. The description above certainly resonates. The nose is quite floral – apple blossoms and green apples make up a lot of the fragrance. The body is quite full – apples again, along with some tropical notes like mangoes. But then the wine’s flavor takes a turn. There’s a fairly strong underlying lemon flavor, and the finish turns quite tart, backed with a crisp flinty snap. In short, imagine a Viognier taking a Muscadet for a long, romantic Italian holiday. The resulting vinous child would taste like this Trebbiano Spoletino. If you can find a bottle of it (retail is around $23), I recommend giving it a try for the unique experience. The other bottle, or half-bottle to be more precise, was the Antonelli 2010 Montefalco Sagrantino Passito. You might recall that I’ve written about the Sagrantino grape previously – I deemed it “The Italian Heavy Hitter,” since it was one of the most powerful, tooth-stainingly tannic reds that ever galloped past my gums. This is the red wine that was too much for the Sweet Partner in Crime, even when I tried to sneak it past her as something else. No – the difference here lies in the last word in the wine’s name, “Passito.” Passito is Italian for “raisin,” which describes part of the winemaking process. There’s a style of wine known around the world as “straw wine,” where grapes are placed on large straw mats to dry in the sun. The resulting semi-dried grapes – you know, raisins – are then pressed. The juice, which is highly concentrated, typically yields a sweet, thick product. This process is not unique to Umbria. Vin Santo and Recioto are other well-known sweet Italian “straw wines.” I’ve never been a fan of either of those varieties. The raisin flavor is a bit too much for me. I approached the Sagrantino version with a little bit of an initial side-eye, knowing it was going to be sweet, bracing for dark raisins. I was pleasantly surprised. Maybe because the tannin level in the initial grapes is high enough to overwhelm that part of the flavor profile – there’s really not much of a raisin-ish flavor. Instead, what swirled in my glass reminded me of a cordial. The nose is surprisingly rich, with cherries and blackberries coming to the front. This wine is thick and rich on the palate. Plenty of Bing cherry weight gets backed with a big tannic undertone. The finish hits with cherry, espresso, and a real smoky dryness at the back of my tongue, balancing out the residual sweetness on the front. A fascinating experience, especially after the wine got some air. The flavor that emerged, especially on the finish, was of chocolate-covered cherries. Not surprisingly, alongside dark chocolate, it was quite good. Sagrantino Montefalco is not inexpensive to start with. The raisinating winemaking process boosts the price even more. This bottle retails for $40. I don’t think this wine is for everyone – but if you’re in the mood to sip a red dessert wine alongside some dark, strong chocolates, you might consider snagging a bottle for a special occasion.